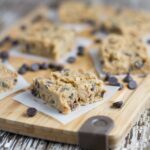 Something that I came up with yesterday are these Raw Chocolate Chip Cookie Dough Bars. I had heard about raw cookie dough being a popular dessert and thought “why not make some that are gluten, nut, egg and dairy free?” I am pretty chuffed with how these turned out. They are really popular in my household. They are really easy to prepare, just mix the ingredients, spoon them into a lined square baking pan and place in the freezer to firm up. You also store them in a airtight container if they don’t all get gobbled up after they are ready. I recently discovered Enjoy Life Chocolate Mini Chips! They are dairy, gluten, nut & soy free and contain evaporated cane juice, natural chocolate liqueur (non-alcoholic) and non-dairy cocoa butter. They are a great alternative to the cooking chocolate that you generally find in your local supermarket. 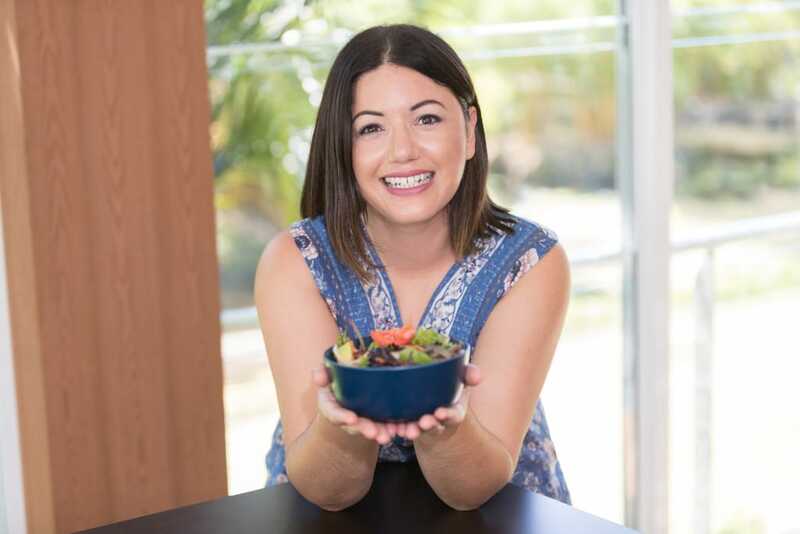 However, I have been reading some interesting articles that discuss that evaporated cane juice is nothing more than a marketing ploy and is actually not that dissimilar to granulated sugar. I want to do a bit more research before deciding whether they will be a regular part of my pantry, but they are very tasty! Alternatively, you can use cacao nibs to avoid any sugar. If you are after some more easy to make desserts, then check out my Dairy Free Chocolate Ice Cream, Macadamia Chocolate Bark and Raspberry Vanilla Mug Cake. Add butter (or coconut oil), coconut sugar, coconut milk and vanilla to a large mixing bowl, mixing thoroughly until well combined. Stir in the coconut flour and then the chocolate chips. Add the dough to a lined square baking tin, pressing it down firmly with the back of a spoon or a spatula. Place the baking pan in the freezer for at least 2 hours, preferably overnight to firm up. When ready to serve, take out of the freezer and rest for 5-10 minutes before serving. To store, place them in an airtight container and store in the freezer. The cook time does not include the time it takes for these cookie dough bars to set in the freezer.